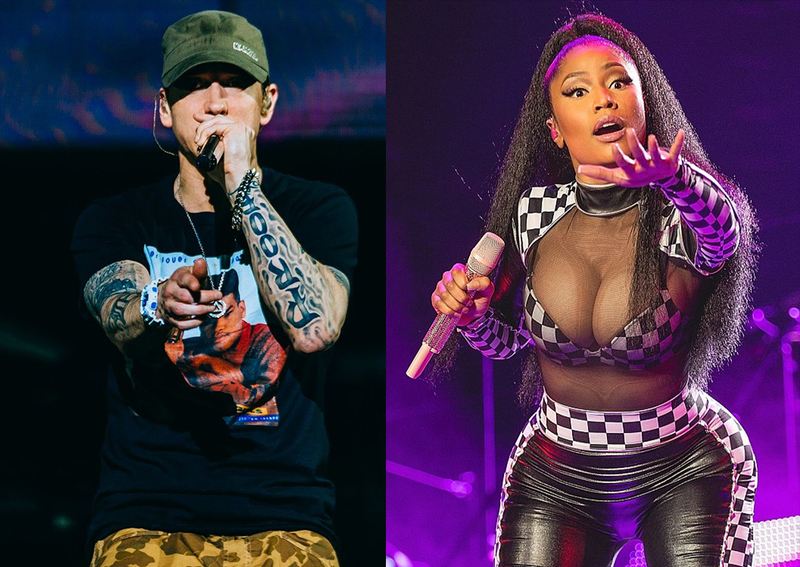 No one could have saw this coming as Nicki Minaj and Eminemappears to have dropped a big shocker on their fans. 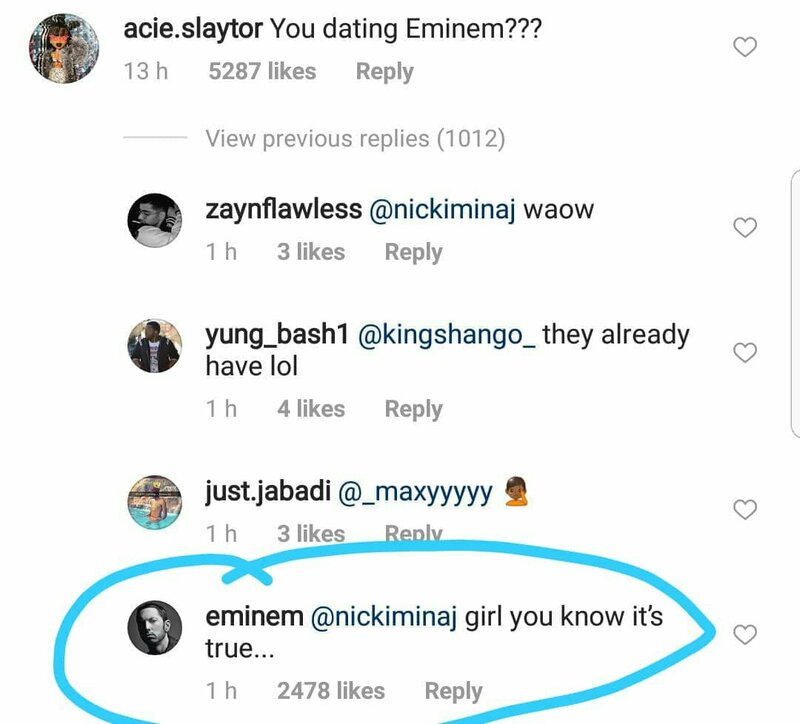 The two rappers all but confirmed they might be dating. 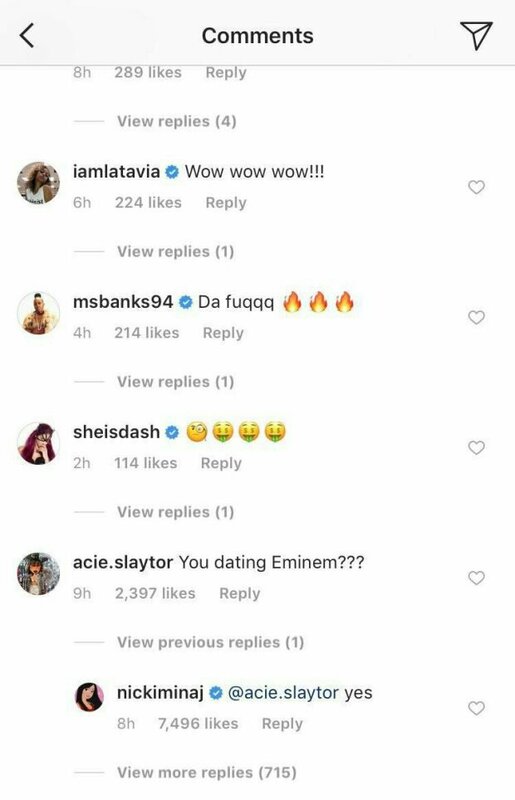 In an attempt to promote a new song she just released with YG, 2 Chainz & Big Sean, Nicki Minaj posted video rapping along to her part of the song where she bragged about bagging an “EM” (Eminem).